Brands that make the effort to always be in front of their target audiences are the brands that thrive. Customer relationships are more important than ever but it can be difficult to stay at the top of your game when you’re managing several different platforms at once. Automation gives businesses the opportunity to reduce their marketing costs, while building credibility and trust amongst new and existing customers. Automating certain marketing processes may seem risky but the reality is that it’s a strategic business move that will allow your team to focus on more important aspects of brand promotion. Here are just a few of the benefits that you can expect once you start automating your marketing. The reality is, customers respond better to messages that are customized and personalized because it shows that a brand is responding to their unique needs. Sending the same message to thousands of customers is no longer an acceptable or an effective approach to online marketing, especially when there are so many amazing tools at your disposal. With that being said, it’s next to impossible to manually send out customized messages when you’re dealing with thousands of customers, all of whom have different requirements. This is where the magic of automation really helps get things done. It ensures that every customer’s unique buying journey is being taken into consideration before any messages or promotions are sent out. 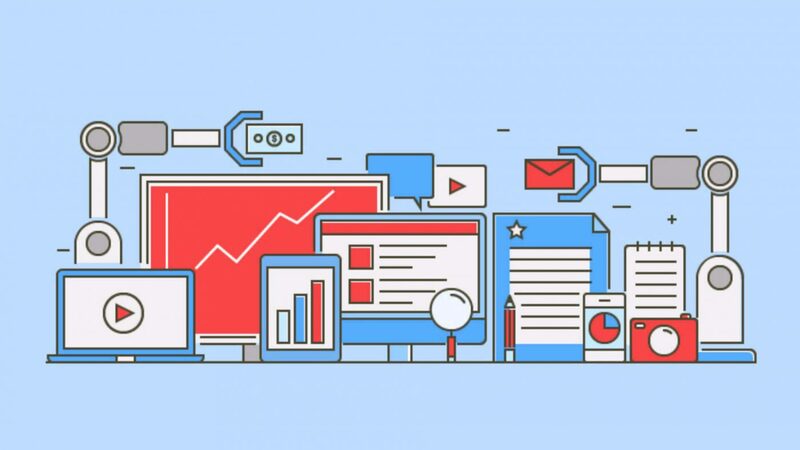 Automating your marketing efforts will instantly boost your team’s productivity, allowing them to focus on the creative process as well as the analysis of website and campaign data. Very often a marketing team can spend so much time on manually posting content, targeting audiences, and collecting reviews that they barely have the time to collect and analyze the data that should be used to make informed business decisions. With automation, there’s no longer any need to manually search for your target audience because automated marketing tools can do it for you. Once the automation system begins collecting data for you, it’s able to analyze the data and optimize accordingly, ensuring your brand is always reaching the ideal audience. When your team no longer needs to worry about manually posting and sending out content, they can spend more time on creating original content that will help your brand stand out online. Automated marketing tools will also help you determine the optimal times to deliver emails and social media content based on the stats that are collected, boosting the chance of more people seeing it. Time is always of the essence and relying solely on manual marketing processes could end up costing your brand a lot of new and repeat business. Using an automated marketing system means that new and existing customers will always receive communication in a timely manner and when it matters the most. Marketing teams can instantly shift their focus towards high-impact activities while your automation system takes care of the rest. When your marketing team has a lot on the go, it sometimes becomes necessary to hire additional writers and designers to keep up with content demands and campaigns. By freeing up more time through the use of automated marketing tools, your team has the freedom to focus on content and campaign development. There are three basic ways that you can start automating some of your marketing efforts. Email marketing is still one of the most effective ways to reach out to new and existing customers but only if your campaigns are implemented correctly. If email is a core part of your marketing strategy, there are a number of tools that can really enhance your campaigns. Tools such as Klaviyo allow you to create automated email campaigns that utilize segmenting profiles to make them more specific to your subscribers. Creating these email flows ensures that your brand is connecting with your subscribers at every stage of the buyer’s journey in the most relevant way possible. You can find out more about automated email marketing in this CoolCat guide. Every brand has a presence on one or more social media platforms but posting content and engaging with your target audience on a daily basis can be very time-consuming. Social media automation systems are fast becoming a go-to tool for countless brands, particularly larger corporations. Not only do these automated tools make it easier to schedule content ahead of time but they make social media growth a much speedier process too. Using data and algorithms, these bots will follow, like, comment, post, and engage on your behalf. Your brand will reach the right type of customers at the right times, allowing your marketing team to focus on content creation instead. Chatbots are another highly-effective tool that will ensure your business is able to help customers when your employees can’t. Chatbots serve as customer support and sales staff by answering any questions that potential customers might have at any time of the day or night. One question from a customer could mean the difference between making a sale or not, and chatbots now make it possible to assist customers 24/7. Engaging with customers in a personalized way and on a consistent basis is key to being successful online and automation systems are now making it possible to provide customers with this customized experience. Competition is fierce, which means that brands need to be even more discerning about how their marketing teams spend their time. Manual marketing processes are a thing of the past – automation is the future.